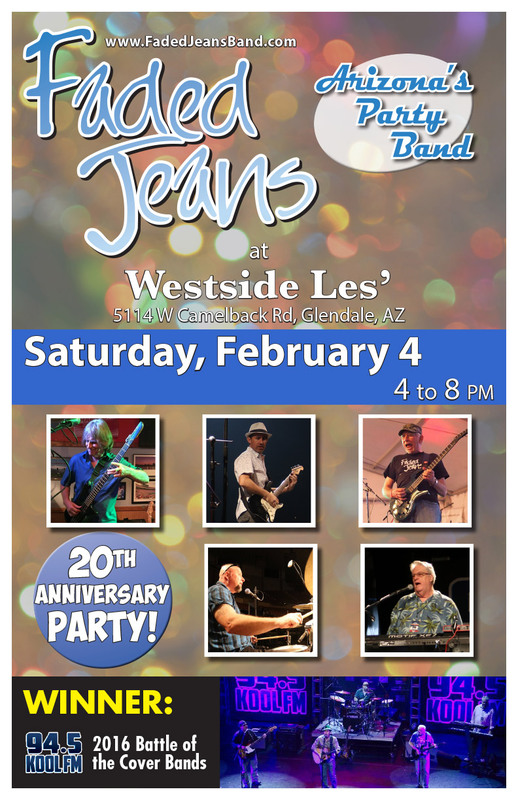 Saturday: Celebrating 20 Years of Westside Les’ | Faded Jeans – Arizona's Party Band! ← This Saturday: Levi’s Birthday Party! Saturday, February 4, 2017 4 to 8 p.m.
For the guys in FJB, some of the most fun we can have is making folks’ parties events to remember! There are still plenty of opportunities to contract us for YOUR events in 2017. We want to help make your next party, reception, or event extra special. Contact us today and get Faded Jeans on your calendar!